Sail Greece in style! 8-10 guests on a luxurious - brand new catamaran (2009). 4 double bed one twin bed cabins, all with en-suite facilities, air-conditioned through-out, large decks, fly bridge, water maker, speed boat, water ski, tubes, kayak, LCD TV, DVD, under water lights for night swimming and many toys. Crew of 2 at your service. Send us an inquiry to get specific pricing for Idea!. Thank you for everything this week! Greece is amazing and beautiful and were so appreciative of all your hard work. Mina, your meals were delicious and inspire me to make more Greek food at home in Angora. I wish you all the best. Thank you for a week full of fun adventures! We really enjoyed spending the week on the amazing catamaran idea! To Alex: You are a great captain and you filled the week with the best waves. It was really fun to get pulled on the doughnut and on water skies. We didn’t recognize you without your beard. Even though you look really good!!! To Mina: Thank you for all the delicious meals. You really have a great taste!! You dedicated so much time to make our vacation perfect, and not only did you make itoerfect, you filled the trip with joy. Θα μπορουσαμε να γραψουμε σελιδες ολοκληρες για το ταλεντο, το μερακι, το κεφι και την σιγουρια που εχετε σε αυτό που κανετε… Θα μπορουσαμε επισης να γραψουμε σελιδες ολοκληρες για την φιλοξενια, την καλοσυνη και το χαμογελο που μας εκανε να αισθανθουμε ανετοι και ευπροσδεκτοι να χαλαρωσουμε και να ευχαριστηθουμε τα υπεροχα μερη που μας πηγατε επειδη όμως αυτό το βιβλιο δεν είναι για εκθεσεις ιδεων θα πουμε ένα μεγαλο ΕΥΧΑΤΙΣΡΩ!!! Και ραντεβου του χρονου το καλοκαιρι! Alex, you are the best skipper of the Aegean sea. (and probably more, but I haven’t been there!). Mina, your good humor and great cooking talent makes you an unforgettable hostess. You are made for this!! We will see you again for sure! Thank you again for this amazing week. As usual Alex found us some beautiful creeks and spots out the marina. We were so impressed how you managed to park in Naousa. Mina, thank you for your smile and good vibes. You cooked is some incredible food that was tasty and delicious!!! We really hope to have the chance to sail with you both next year. It was a wonderful experience that we will never forget! Not only was the food exquisite but the time we spent sailing was relaxing and beautiful. The birthday party was amazing, the decorations and the cake was great! Thank you for taking time to make it unforgettable!<3 We had a lot of fun and we wish we could stay longer. We thank you both for this adventure! Wish Love! Thank you so very much for a wonderful vacation and smooth sailing on the beautiful sea! The food was amazing and Mina, I am so glad to have knowledge of authentic Greek looking! Your company was also very appreciated and we are glad you joined our family vacation! We would love to sail with you again and hope to keep in touch – I ‘ d love to have some of your “special” Greek recipes Mina. What a wonderful trip! We have had thanks to you! From the moment we boarded idea! You made us feel at home. We appreciate the care you gave us and the love you have for your country shines through. It was amazing to see the Greece through your eyes. Every moment was spectacular, Thank you a lot!!!!! Thank you so much for a wonderful week filled with fun. The food was amazing, and each new swimming cove brought new adventure and delight. Amazing food made by Mina. Alexandros drives tubing boat insanely fast!! What a magical trip! You are not only the consummate captain and hostess, respectfully but also, you are truly wonderful people. Our team of 10, for the second summer in a row, enjoyed your guidance insight, kindness and good humor. Sailing with you is sailing with family though you are for more hospitable. With much love respect and admiration! Dear Stella & Alex, thank you for such an absolutely amazing time! Alex who saved Brets life and more importantly dived into the water to save the kite board! Stella your meals were beyond amazing we were difficult crowd including a vegetarian, someone who did not eat cheese and someone who only drink retsina, yet every day and night you made wonderful creations – your grilled octopus and pasta will never be forgotten and to avoid your spinach pie is simply a sin! – Finally we must say that Alex is a captain in the tradition of ancient Greek sailors, you found all the best places to sail, the most amazing bays to swim and we will give you credit for the incredible sunset to end the trip! Thank you so much! To Alex & Stella, We would like to thank you for the unique cruise in the beautiful islands of southern Cyclades. Has been a great experience to sail with Idea and Captain Alex. We highly appreciate the good cooking of Stella, especially for the Greek mezes (homemade Tzatziki was great!) All our best! Thank you for making this trip so much fun to be on! Your food was great! Thanks again for the amazing sailing! Alex is not only a supreme sailor and Captain, but he is also a kind, hospitable soul who made it his mission to keep us safe, happy and entertained. Each of his suggestions, from waterskiing and windsurfing, to the islands and restaurants recommended, was perfection. Once we finally caught our tuna, we would have been at a loss without Alex´s skills! We are also grateful for the lessons about Greece, maritime law and the sea this wise sailor imparted on us. Stella epitomizes the ideal hostess and is an incredible chef. Each Greek delicacy she made you would have thought came from a chef´s kitchen, not that of a catamaran, and it was so delicious you would have had no idea that she was also accommodating one passenger´s dairy allergy! Her innately nurturing spirit was undeniable and greatly appreciated by everyone. Not only are Alex and Stella talented, it is clear that they love what they do. It was the trip of a lifetime....until we sail again next year that is! Stella & Alex The week on the boat was great fun! Seeing the Greek islands from Idea was well a great Idea. Stella thoroughly enjoyed each meal, you are an outstanding chef! We can not thank you enough for an incredible journey through the Greek islands!! Your attention to details was wonderful along with showing us many things about the Greek life, food & culture. You both made our journey! What a wonderful week we had with you both! Alex you kept us safe and entertained on windy days back to Mykonos and white water skiing in Schinousa. We really appreciated how you always wanted to make sure each day was exactly what we wanted to do. Your constant answer Its no problem insured that we had a great vacation! Your perch up top is the BEST place to be on a windy trip! We also feel like we learned so much about travel in the islands since you are so experienced. Konstantina the food you prepared for us each day was spectacular! Best Goat, Best Octopus, Best Meatballs, Best Greek Omelet! Every day, every meal was unbelievable delicious and beautiful! From the simplest to the most complex everything you prepared has amazing flavor and balance. You are truly talented! And your cheerful disposition and great sense of humor added wonderfully to our trip!We will miss you both and hope we can sail together again next year but this time Paros to Paros! MUCHAS GRACIAS! MERCI BEAUCOUP! THANK YOU! We enjoyed very much the trip and life on board! We loved : The places where Alex took us. The delicious meals Konstantina cooked for us(and the chips before lunch). The crazy rides with the rally. The fancy dinner at the village. And we would love to come back next year and see you again. Muchos besos, nos ha encantado conocer vuestras islas y disfrutar de vuestra compania. Thank you both for such an incredible time here sailing the Greek islands. Our family had such a fun time exploring the caves, jumping of the rocks and snorkeling near remote beaches. Alex-si capitan-you did an amazing job of finding the beautiful islands and the best places to swim. You have been a great captain, also an understanding person that caterers to everyones needs. Thank you! Konstantina what can we say? But, thank you for the most delicious meals and looking after us. We have enjoyed our time here and you have made it very special for all of us. A million thanks! It has been our 5th cruise and probably the last ever yet. You both are a great crew. Understanding all our needs, things and places that we like, and sharing our laughs. Thanks to you we discover very special places, fantastic coves and beaches, and Konstantina has delighted us with her excellent cuisine. Sailing has been great, Alex is a remarkable and very experienced skipper. In shot, we loved it! And certainly look forward to another cruise in idea! with you too. A big thank you for everything! The sailing, the food and the atmosphere were amazing! Just one objection! Please buy a lot of lighters for the next trip! A beautiful journey with a wonderful crew in the Greek islands. Thanks to both for your attention, to make our trip a wonderful one. An a super boat. We hope to sail with you next summer and discover new islands, new coves with shallow waters and spend again lovely moments with you! Thank you for such an amazing week! You made our first trip to the Greek islands a very special experience. Amazing food, for visits to the islands and great swimming and snorkeling! Thank you for such a wonderful and amazing trip! Greece is one of my favorite places ever! Thank you for being so kind and hospitable! I had an amazing time and the food was great! My best holiday ever! Thanks so much we had an amazing time! Yammas! Thanks so much for such a great time! We loved Greece and loved seeing it through idea! Thank you for teaching me how to wind surf! I had so much fun! Best week ever! Eyxaristo! Great vacation! Thank you so much! Had a wonderful trip! You guys are awesome! Thank you for allowing me and my family have such wonderful memories. Your kindness and friendship will be with us the best of our lives. I will for sure never forget the trip. I hope we see each other again! Always remember that you have friends in Miami and Harvard! Thanks for the amazing trip, great food and fun tubing! Thank you for everything! You are awesome at driving Alex! You are awesome Konstantina, you have awesome cooking skills! It was a pleasure to spent time with you, we had a great time and excellent hospitality! For me it was one of my best journeys and I will never forget it. Thank you both for everything, and see you again on the next trip! Thanks for a great time together. You and Alex is a combination of love and kindness. All of us will remember this trip for a long time, with a lot of memories! Speedy skipper Alex smiled and charmed us through choppy and quiet waters (perhaps controlled by Zeus and his Gods whose huge, long deep breaths blew in gusts of range screeching and screaming when at rest). The Dustan Family felt totally secure with Alexs very experiences skills of a young sea dog. In addition, Konstantina smiled 99.95% of the time and did ALL that was asked of her and more with very useful on shore advice. We loved the Greek food a wonderful introduction to Greece and the Cyclades. A very balanced trip, tasting the culture and offerings of many islands everlasting memories of diversity (the steep narrow streets and steps, sheltered by freshly painted white walls, blue painted wood and decorative red geraniums and vines. A HUGE THANK YOU to the crew/team of Idea! BRAVO! Impressed with the team spirit and comradeship of Alex and countless friends everywhere helped us squeeze into unexpected places. Total Distance: 430 Nautical Miles perhaps OTT!!! Top Speed: 12.3 Knots. We cannot thank you enough for this amazing trip. We felt very safe and protected by Alexs leadership. Maria, you spoiled us rotten, you kept everything shipshape and every meal delicious. Thank to both of you for James special night. Our favorite memory is when we inhaled helium and laugh totally at our voices. Finally, a huge thanks for making our Greek adventure the best it could possibly be!. Thank you for making out trip so much more wonderful that we could have imagined. Even though we were quite substantial, Maria managed to had us with her gourmet style!! The Great food and service was absolutely “ Amazing ...we are moving to Greece”! Our confident captain Alex made us feel safe and we are grateful to have been in such good hands with his sailing expertise! He turned the high winds and the large seas into a fun adventure rather than a cause for concernce. Alex and Maria were such perfect crew and we felt so at home on this boat. It was truly like vacationing with family! We never felt like we were imposing with our requests or our many questions about sailing in general! We will miss our frappes but we will never eat another piece of “bread”! We will never forget this one of a kind trip with Alex and Maria! We dont want to leave but we must return home of ... course! Thanks for all the laughs, beautiful sights and wonderful food. We want to thank you both for the amazing trip. It surpassed all of our expectations, you both made us feel at home, and that it is of great value. We got to view the part of Greece from both of your amazing recommendations and navigation expertise. Amazing food! (Unfortunately we gained 10 pounds jaja).Alex great way to navigate while sailing through those tough times. Even though the weather was not on our side, it was an unforgettable week! For that we thank you so much. You are both great hosts and Nico loves you, which for us is the most important part!! We hope to travel again with you guys very soon! See you in Mexico or Miami :). Keep up all the amazing work, congratulations!! We had a fantastic time on Idea. The food was amazing. The navigation of the boat was perfect. We stayed in wonderful places.You were always there to help us with anything we needed. Thanks for an unforgettable adventure in one of the most beautiful places in the world. What an outstanding trip you have given us-you two are an amazing team-nothing is too much and you cater to all our needs with such case making us all so comfortable. Cook meals have been Michelin quality always interesting and made with the same case as you do everything. Captain with his beautiful smile and twinkle in his always happy to plan interesting trips. Selwyn and I thank you both and look forward to future cruises with you! 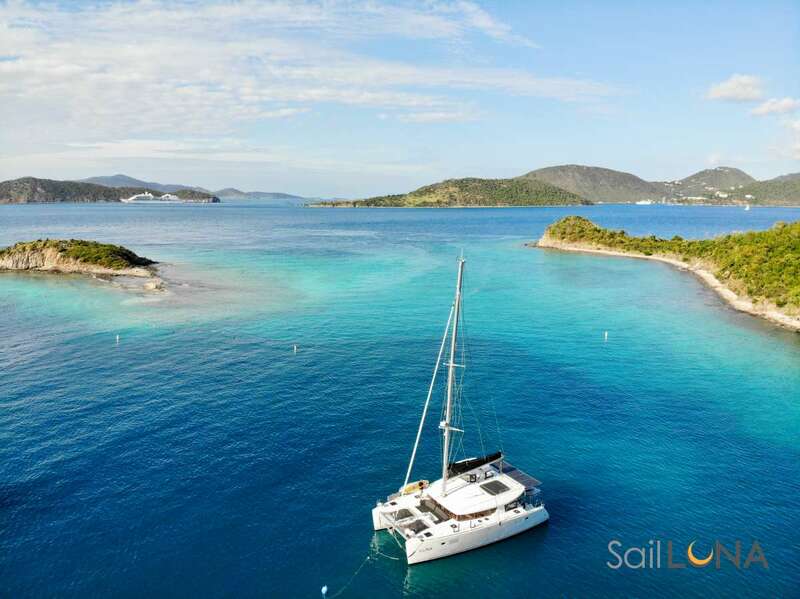 At the conclusion of our cruise with you on IDEA in June 2012 we were convinced that no catamaran holidays could ever surpass the magnificence of that one. How wrong we were! Thankfully we realized that we could not resist repeating the experience and how very happy we are that we did. As we come to the end of another 7 splendiferous days in your company on Idea we are once again so grateful for Your caring, friendly, professional hospitality and expert seamanship and ability to impact his knowledge in such an effortless and interesting manner. We cannot thank you enough for your warm friendship and we look forward very much to another idyllic week on Idea! We have been here before and well be here again!! The Cyclades was an awesome journey. Now the Dodecanese, every bit as fabulous, where to next? Thank you for everything from Istion to the crew. Arriving to the IDEA was like coming home. We love you and we love how you respect each other it makes for a perfect boat ride. We are the newcomers and Jill has told us how amazing the crew is. Well you have exceeded our expectations you are both talented, kind, attentive and competent. The food has been delicious and plentiful so thank you. Alex you have handled the catamaran with professional skill beyond your years. Thank you so much for this incredible week in Cyclades. Everything was amazing! We traveled from the Mid West California and were delighted to be led by Alex. What a lovely trip.We will never forget their hospitality a and great fun! Thank you for everything we will never forget out trip! Thank for the wonderful week, the excellent food the good mood, the nice places you advised. My first time on a boat a real success. This was a wonderful cruise!! Everything was great! We loved the places where we stopped, the food and especially your kindness and professionalism. Our trip through the islands of Mykonos, Paros, Ios, Folegandros, Serifos and Athens was one of the most incredible experience of our lives. The caves were magnificent the swimming, hiking, eating and game playing were so much joy. Our family will remember this forever. I hope we get to try more islands next year with you guys. Cooking was beyond explanation ...delicious and creative. I do not know where to begin. This week was intended to be a week of relaxation and to clean the mind of the stresses we have had to deal with over the past 31/2 years. From the moment we stepped on board IDEA our minds were free and now we depart from an adventure that surpassed any expectations we could possibly have dreamt. Alex we were so happy to have you back on board. You truly are a captain at heart and your expertise was displayed over and over again. We thoroughly enjoyed our wild days at Sea! Mike, what a bonus for us to have you with us. The bond you share with Alex is what a hope for Ben and Parken in the coming years. You belong at Sea and proved it countless times. We would be honored to have you or Alex at the helm on our next Grecian adventure! Thanks for helping me with my new camera and for skating your love for photography. A picture is worth a thousand words and we have many to prove it! Thank you for your patience and maternal instincts with the boys. Thank you for your persuasive ways of making sure Ben, Parker and George sampled so many so many Grecian specialties from the deck of IDEA and the waves of Aegean Sea, healing has begun and new beginnings are on the agenda. On this subject I speak for both me and Ben. We loved the big waves and tubing was very exciting. The food was great! What is there to say, the most perfect end to a rough three years. I couldnt imagine this to have been any better. The weather was incredible and all of the activities and restaurants made me feel like a VIP!You made us all feel welcome and did a great job with your English speaking Hopefully we will see you all again soon! Ben Lambart New Hampshire USA. Thank you for making our trip to Greece unforgettable! From the amazing boat to the beautiful blue waters you have made this a trip of a lifetime.Your thoughtfulness and fabulous cooking was the best we have ever experienced! We will miss you daily! A great combination for a fantastic vacation sailing these wonderful Greek Waters. Your hospitality patience dedication and passion while showing as around your beautiful country has made this trip a memorable one. Thank you for your smooth sailing swimming recommendations and for keeping up with all our water activities requests. You exceeded all our desires.You were better than the most i expected. You made this trip so unique we´ll never forget you! You are the best! Thank you for making a 50th birthday celebration so amazing .Your skills in the kitchen blew us crazy. We will all miss your beautiful food and warm smile. Alex you are quiet but mighty - We saw it the other day as you defended our right to stay at the Ios port and navigated us through high tides. What an amazing trip !! Alex, thank you for bringing us to the quiet less visited spots - they were beautiful.We will always remember the great hospitality and beauty of Greece ! Thank you for a lovely week aboard Idea! Everything was perfect.Safe travels back to Athens, and revisiting with your families. You have both made this the most AMAZING TRIP EVER. Your cooking on the boat was THE BEST. It was some of the best food i have ever had. The conversation was always enlightening. Best of luck to you both, love you guys! Thank you so much for a fantastic trip of a lifetime. The way you both work in unison is impressive !! Alex captained the yacht with expert skill and was fun to see his effortless ability to park in the tighest of ports. The taste and variety of food dishes cook made on board was five star plus! Great Job !! There aren´t words meaningful enough to express how wonderful this trip has been. We never imagined how grand this trip could be. So from the bottom of our hearts...thank you! Both of you have been so very gracious getting to experience this wonderful around the world trip for both of us. This has been our little personnel touch cruise.Thank you for putting up with this crazy old man! Both of you put a smile on our faces as we hope you have put a smile on yours. Thank you for the super special sea ville if ever you make too Alaska please look us up. (I always will remember boat coffee. May you always have smooth seas and a favorable wind safe passage wherever you travels in life take you hugs to you both! May you always have smooth seas and a favorable wind - safe passage wherever your travels in life take you. This has been a dream vacation and we started as strangers and ended up as friends. You have made this trip so adventurous and pure fun. All the stories and great food will be treasured memories until we meet again. You are welcome any time in our homes, and now that i have a magic pot i can cook for you. Thank you for your hospitality and personality. Thank you very much for each day in Greece. We really enjoyed every island, every moment, every meal and every day. You were really kind with us and we appreciate that. You have a wonderful country and you make us feel at home!Hope to see you soon and wish you a very good and happy life! Thank you very much for this wonderful five days. You have a wonderful country!Thank you very much for your patience. We felt very comfortable, everything was perfect! Surelly when we arrived with my husband and eight children in the middle of the night i hope it wasn´t a nightmare for you! The days we spent here, were amazing ! Lisa´s & Joseph´s families chartered Idea, from Mykonos in July 2012. Thank you so much for making our journey through these summer isles so great. Guys,thank you for answering in every of our questions. Thank you for every delicious meal, frappe, freddo, cappuccino you whipped up. And thanks even more for those late night cigarettes in Poros. Joe might worry for your health, but us Alex would say, Dont worry, its no problem. Speaking of Joe, thank you most of all for not throwing him off the boat. We were very lucky to have had two crew members as kind, patient and fun as you. Thank you for my big, fat, Greek vacation! The wonderful cooking and margaritas have surely contributed to a few extra pounds. We have all dreamed of the vacation and both of you along with the beautiful Greek people have made this dream reality and a new memory never to be forgotten. You must come to California and see our beautiful city and wine country. The Bruzzone & Downes families will always treasure this vacation! Thank you so much. You both made this trip absolutely wonderful. This experience has truly inspired me to want to live in Europe. I absolutely had the time of my life and will never forget either of you. I want to thank you for putting up with our crazy family. We all fell in love with you two and you must come out to California so we get a chance to host you! Thank you again for the excellent navigation, excellent cooking and most of all excellent company. We will miss you! Alexa, Declan and Laurence chartered Idea, Lagoon 500 from Athens in August 2012. Thank you for an amazing week, we swam with fishes and jelly fishes! We saw dolphins and beautiful islands, beautiful boats, sea & people! We ate fabulous food; I cant manage phyllo pastry on dry land let alone in moving boat. Gin and tonics and delicious wines and amazing scrabbled eggs! We all had a great time. Thank you very much. Thank you so much for everything. We had a fantastic time. Thank you also for looking after 5 kids and bringing them all back safely. Eπαγγελματισμός και συνέπεια στο έπακρο. There was a boat that rocked across the Cyclades against the winds and dark seas led by legendary crew in the name of an IDEA. in our mind and thoughts bearing our rebased souls to the year to come for a NEW ADVENTURE. Σας ευχαριστούμε πολύ για το όμορφο ταξίδι στις Kυκλάδες, για τα μέρη που μας δείξατε, για το ανεξάντλητο χαμόγελο, και για τη φιλοξενία σας. Eύχομαι ο χρόνος να μας φέρει ξανά κοντά και να απολαύσουμε μαζί νέες ομορφιές της ελληνικής θάλασσας. Jill chartered in June 2012 Idea, Lagoon 500 from Mykonos. We have had a most splendid holiday here in the Cyclades and most definitely want to return to the Greek Islands. Crew is amazing and have gone out of their way to make this trip unforgettable. YOur smiling face and delicious cooking , what a treat. Alex is a master sailor, we are all of us in awe of his ability and his willingness to ´make it happen´ has not gone by unnoticed. The two of them have helped to make this trip surpass our wildest imaginations. We love them both. We started off in Mykonos so concerned that it was too windy to sail the entire week.They got us to the calmer waters of Paros and it got better and better. THANKS ISTION we will be back. Thank you so much for giving us the most fantastic and amazing holiday experience ever! We have enjoyed every single moment. You have taken us to such special places and shown us a very different Greece. Simply perfect hospitality. Greece was great, the crew was even better! It has been an amazing week, the memories we have shared with friends promised not to be forgotten soon! Your attention to detail, advice, service and cuisine have passed all my expectations. I am sad that this trip has ended, but I hope that it will be repeated in the future. Thank you for one of the best experiences of my life! This charter has been absolutely amazing! You are wonderful people and I thank you for making my time in Greece so memorable. Efgaristo to a great skipper and the best hostess I cannot tell you how amazing you both are professional, courteous, charming and just phenomenal people! Thank you for the best holiday ever! You two have made all the difference by being friends and great hosts! Thank you for showing us the beauty and warmth of Greece. We have been inspired by the deep blue of the Aegean Sea and the many wonderful places we have seen and experienced together. We dont have words to describe this week. Everything was just perfect. We dont know how to say which was the best part: the yacht, the skipper, Stella or the company! Everything was amazing! Alex and Stella were the best. We hope to live that dream again. It was unforgettable. There are no words, only sentiments. Thanks for everything, for making us so happy! We came from Russia and stayed on board IDEA! For 1 marvelous week. The weather was good if not for weak winds but the last day was a race! Next time we will go to Cyclades as we like a strong wind! Special thanks to Alex who despite his young age is a very experienced and professional captain and just a nice guy and wish him all the best. We appreciate Stellas cooking talent, knowledge of the Greek history and pleasant way of communication .Sorry we ate so little to enjoy more of her delicious cuisine! The only thing to complain about is that this week passed too quickly! We are determined to come back ! We came to celebrate Harry Zinns birthday all the way from los Angeles, California and Stella and Alex made my first sailing experience one that I will never forget. The catamaran was great ,the Greek Islands we visited beautiful, but what made this trip unforgettable was the delicious greek food Stella prepared ,the great guidance of our skipper Alex,and their warm & friendliness that they provide & gave us. Our sailing experience aboard Idea! Was simply fantastic. The boat, the crew, the food and the destinations all exceeded our expectations. Alex was excellent as our skipper. He made for smooth sailing to a great mix of ports and swimming sports. We enjoyed his company , his expertise and his knowledgeable guidance.Stellas food was outstanding.It was like having a Mamma on board (expect much younger and prettier). She is an incredible young woman and was an absolute pleasure to sail with. This has been a long planned celebration for my friend Harry´s 50th birthday. He wanted to be with his closest friends and show them a little of his Greek heritage. It could not have been better. This was our first visit to Greece. We will certainly return. A week in paradise!I had high hopes and Alex & Stella exceeded all of them.You cannot have a better crew,Words are inadequate to express the appreciation we feel First to Yota and Istion for making the reservation process such a pleasure for answering all out questions, no matter how trivial . Alex is a flawless skipper, knowledgeable and always wanting to please.Stella is a joy to travel with.A fabulous chef, and incredibly knowledgeable about Greece .I could go on and on.Our week was fabulous and we cant wait for our next sail. We just want to say, that it was a wonderful week! It was a lovely time with you and the food was veniestic. To Alexandros we want to say, that he is a really good Tender-Driver because he kept going on until we finally had to fall over :D.
the bays were beautiful, and the boat was great! I was very happy this week! The trip was exceptional, the food fantastic + sailing with the two of you was the best vacation weve ever had + we travel a lot! Your love for Greece, the boat + the greek islands was evident in everything you did. We will be back and I will write your cruise up in some of my newsletters. Change nothing + keep up the great operation you have here. Our week with you both has been unforgettable. The passion that Alex has for sailing + Stella for cooking + food made the trip amazing. We really hope to keep in touch + see you again. Thank you for such a wonderful week aboard the IDEA! We loved every moment, windy + not. The food was out of this world I will be heading home to try my hand at these dishes , though I know I will pull in comparison. See you soon, it will be impossible to keep us away. And If youre ever in Miami, look us up!. Thanks so much for making our honeymoon so memorable. We will always treasure the memories of the very short 3 weeks that we spent with you. Stella, keep practicing your bow line and your rope throwing. Alex, you did a great job of keeping me away from the special fishing spots where the 29kg tuna was. We all had a great Idea back in Melbourne and decided on Greece for our next sailing adventure. What an Idea that was. Sailing for 3 weeks on Idea! Has been as truly wonderful adventure and experience. Thank you both for making it so: We will never forget this holiday. We loved the history of your country, and the people are like our brothers! We had a fabulous time aboard the Idea this week. Alex is a fantastic captain and Stella is an amazing chef, we are very happy and well fed! Thank you both for everything and remember: Im on a boat! Thank you for everything Alex and Stella. Fantastic boat even a better crew. P.S. Have a great summer. An amazing trip with truly awesome crew. Thank you very much for your wonderful care, attention and cooking. Congrats to Stella and Alex for a brilliant time. I wish there was a better place on this boat to just sit and read and relax so that everyone else could stop being jealous of my spot. Thanks for the rogue waves and great food. Thanks to Alex and Stella. Alex for raising the sails whenever the wind was over 4 knots and Stella for truly awesome food! Alex-great frappes, Stella great margaritas! !Good luck to both of you. You are the BEST! Thanks so much for the food, the service, the sailing- but most importantly- your kind, friendly hospitality. We will always remember this wonderful trip. We have got a brilliant vacation thanks to you! We really enjoyed the time together because of your company, your tasteful dishes, your efforts and care. Looking at our photos brings back the wonderful memories or our charter earlier this month. We loved the boat, loved the islands we visited, but best of all we liked our skipper and hostess.Alex was a superb skipper. He was such a competent sailor, helped us improve our own sailing skills, gave great recommendations of what we should see on each island! I felt my family was in the best possible hands. Stella was so much fun and served us the best food we had in Greece -- and we like Greek food very much. I have attached a few photos -- hope you are able to open the file. Again, thank you for a charter that exceeded our expectations. I have told all my friends about our experience. Dear Iro, thank you for teaching Alex & Stella everything, your coffee is the best..You like mostly swim than take the rope. Stella is very grateful of your cooking lessons and wine service. And now, being serious, thank you very much Stella. You are so kind and the best cooker in Idea! ´s world. And now Alex. Thank youfor being our great Captain and trim the sails so carefully and to taking us to so quiet and amazing places. Sailing around the Saronic Islands on the beautiful Idea! is the best way to see the islands of Greece. We will never forget all the beautiful bays Alex found for us to swim in, explore and rock jump into the crystal clear waters. We also loved all the little port towns we visited and explored.Our week could not have been more perfect. Cooking deserves a paragraph on its own. We loved every one of her dishes. Her food was the perfect accompaniment to a perfect week. Your hard work was very much appreciated! Assorted Chesses and cold cuts dish served with special handmade dips from all over the world! Maria’s Pizza Bread, wait until you taste it! Stuffed Vegetables (tomato, pepper etc.) with rice and a secret mix of herds! CHECK OUT SIMILAR YACHTS TO IDEA!